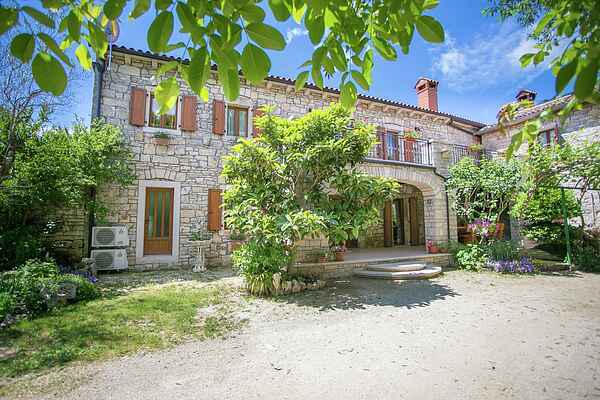 In this beautiful spacious stone house in the country you can leave the everyday life behind you. On the ground floor of the comfortable holiday home you will find a spacious living room with fireplace and a fully equipped kitchen with dining table. Upstairs there are three bedrooms which are connected by a large common balcony. The terrace in front of the house invites you to relax. Your hosts will offer you local products such as wine, olive oil and ham from our own production.